The Hotel Griffon management and staff are not only dedicated to being Green on property, but also in the local community. Employees of the Hotel Griffon have established a Green Team that regularly volunteers to help the environment. Whether it be a beach cleanup or planting trees, The Hotel Griffon Green Team strives to do their part. 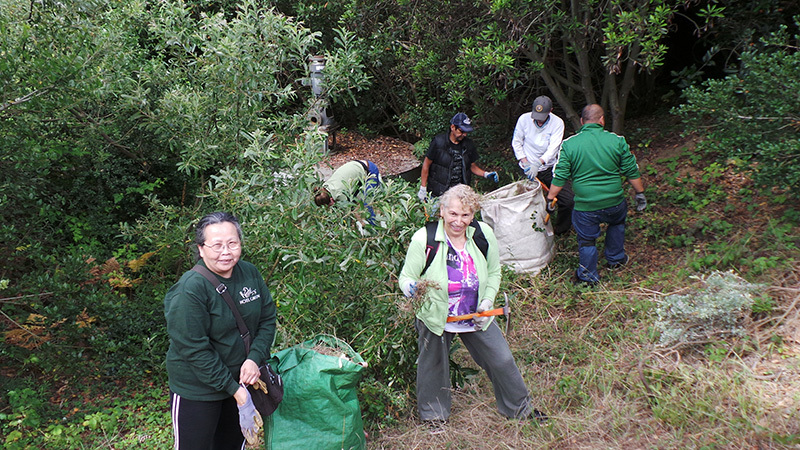 On July 13, the Hotel Griffon Green Team went to the Presidio in San Francisco to plant native species in the area. Below are photos from their outing!